We might lose data in many ways, it could be because of accidental deletion, damaged partition, lost partition, CD/DVD or digital media. 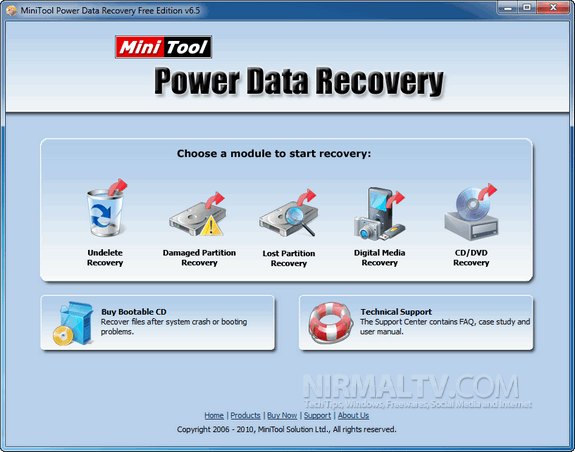 MiniTool Power Data Recovery is a freeware tool for Windows (free for personal use only) which allows you to recover deleted or lost data from your hard disk drives. It not only helps you recover deleted files, but also recovers data from damaged, reformatted hard disk and RAID device, CD, DVD disks, memory card, memory stick, and flash drives. 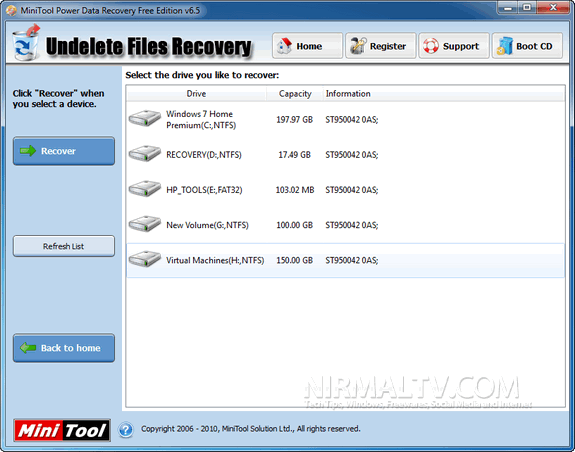 The main interface has all the options for recovery listed and pretty easy to use the application. Once you select the option from the main menu, you need to select the disk drives for recovery. The application will search for deleted or lost files and shows you with an option to recover the files. The app also comes with a build in viewer to view the deleted files before recovering. MiniTool Power Data Recovery is a nice tool to recover accidentally deleted data or data lost from partitions. MiniTool Power Data Recovery Free Edition is for private, non-commercial, home computer use only.